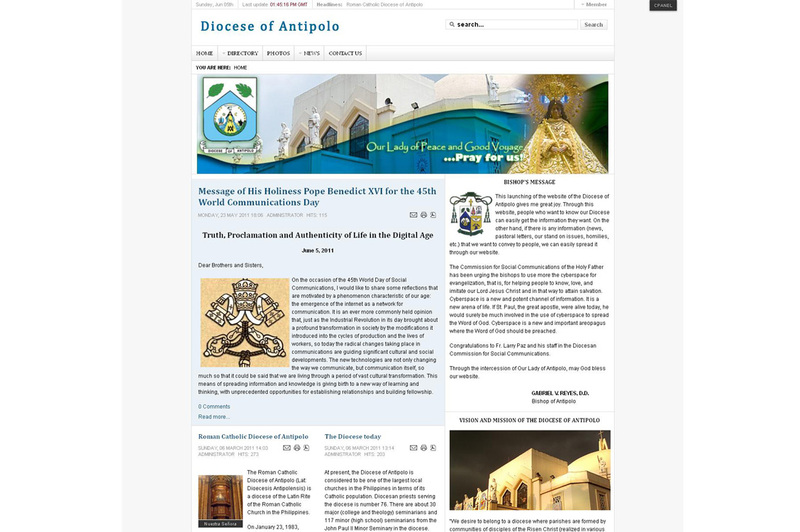 The official website of the Diocese of Antipolo of the Roman Catholic Church in the Philippines had been successfully launched within a month's time largely due to the collaborative effort among members of the Diocese, parishes, and the Commission of Social Communications and Mass Media - a project that involved participation from various entities of the Diocese, from Chancery to parishioners. It showcased an extensive directory of parishes and churches within the geographic scope of the Diocese and featured news and photos from each parish. This is now a defunct website. Official website is now managed by the Diocese social media communications volunteers.